VRTK is a collection of useful, reusable solutions to common problems found when building for virtual reality. VRTK aims to help productivity by speeding up the creation process from prototyping ideas to building complete solutions. The passion behind VRTK is to try and enable as many people as possible to build for VR, from seasoned developers to complete beginners who have a wonderful idea in their head but are unsure of how to create it. VRTK aims to be easy to understand so the absolute beginner can feel comfortable turning their creative thoughts into experiences but it also has enough power and flexibility to allow developers to really build out their perfect solution with little friction and without constantly re-inventing the wheel. Virtual reality is a relatively new medium so no one really understands what truly works or what doesn't work in terms of solutions, so VRTK aims to bring a community of diverse people from all across the world together to work on solving these problems and to rapidly evolve the way in how VR is catered for. 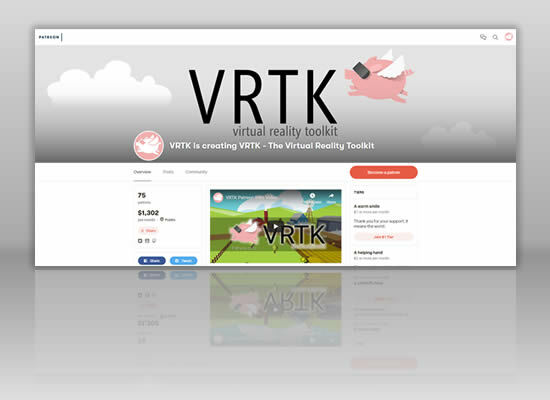 VRTK is released under the MIT License and therefore is completely free for anyone to use whether it's for personal or commercial products as this is the best way to make sure we're all building for a better future in virtual reality. VRTK is available to download, for free at the following places. 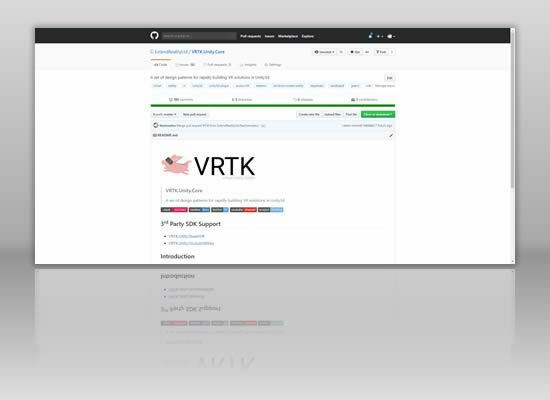 The GitHub repository is the home of VRTK with all of the latest features and updates coming to the GitHub version first. You can even fork the repo, make changes, new features and contribute back. The official releases for VRTK can also be downloaded straight into the Unity3d software via the Unity Asset Store. 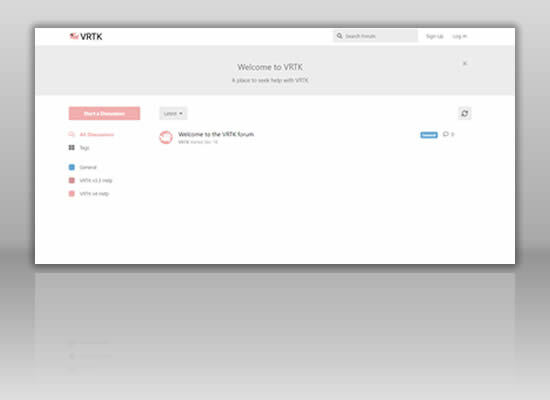 This is the easiest way to get VRTK into a Unity3d project and get building as soon as possible. If you want to learn how to use VRTK or require some help then check out the below resources. 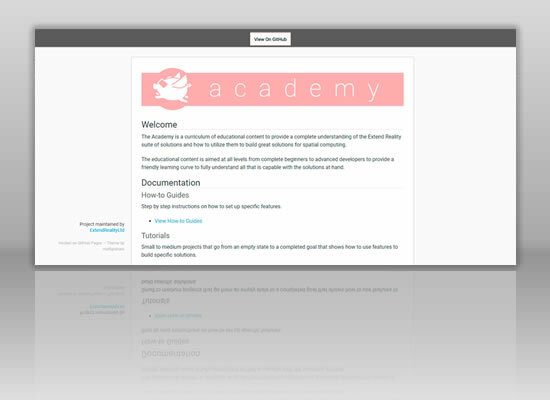 Full of tutorials, written documentation and lower level developer API documentation. 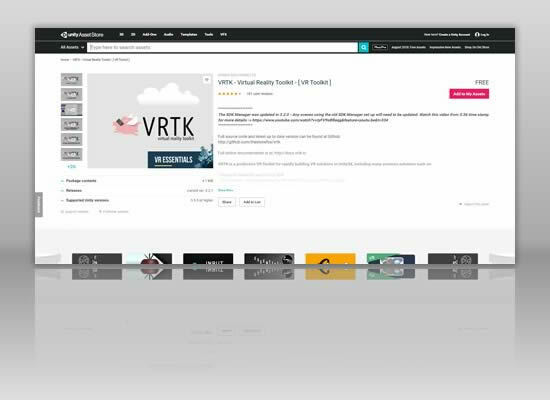 The VRTK Academy is a great place to get started to learn about what VRTK can offer when building great VR content. The heart of the VRTK community is the slack channel. Full of helpful people from all over the world chatting about all aspects of VR development and how to best use VRTK to build stuff easier and quicker. This is the first port of call if you get stuck on anything. 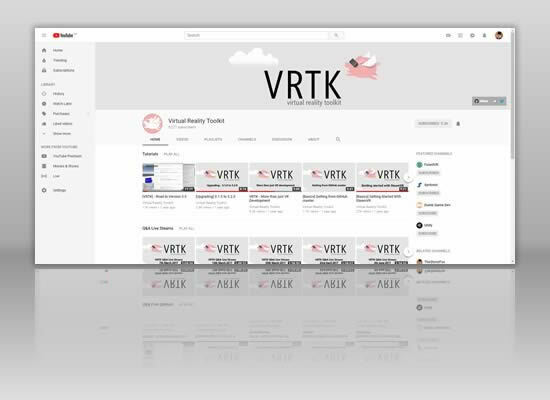 If video tutorials are more your thing, then the VRTK YouTube channel is packed full of helpful guides on how to create a wide variety of VR related goodness. 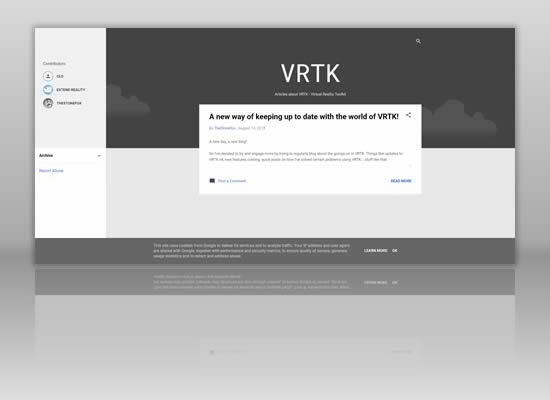 There are also regular livestreams where the community can get questions answered from the VRTK team. A place to seek help with any issue you may have or look up existing answers to common problems. 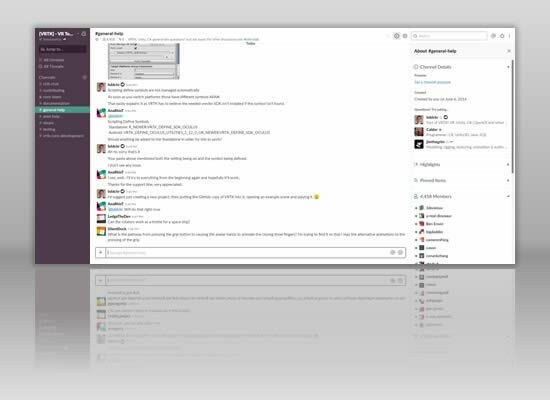 It's a great place to look for support that is long lasting rather than the fast pace of the Slack channel. If you'd like to help out with VRTK and support us in our mission or just want to keep up with the goings on then check out the below resources. The purpose of the VRTK Patreon is to generate revenue via patron pledges to fund the creation of educational content forming the curriculum of the VRTK Academy. There are multiple tiers of pledge that can be supported to allow those who want and can to give a little towards making VRTK even better. Straight from the minds of the VRTK team. Regular blog posts with news, ideas, quick helpful hints and tips or just general ramblings. There may be something a bit too obscure for the general help guides living inside here. A productive toolkit for rapidly building Virtual Reality solutions by providing design patterns and pre-built assets to quickly and easily solve common problems. © 2018 Copyright - Extend Reality Ltd.